Renovotec has launched a discounted rental scheme for Zebra’s new MC9300 handheld and TC8300 touch Android computers. Synergy Logistics – the company behind the award-winning SnapFulfil warehouse management system (WMS) - has appointed a new sales manager in the UK. In self-adhesive labelling, the standard medium is a die cut label held on a siliconated liner, otherwise referred to as backing paper. There are no real viable options for recycling the backing paper. Unitechnik’s Ingolf Mix explains the benefits of virtual reality when planning warehouse processes. ProGlove launched the second generation of its intelligent glove – Mark 2 – at LogiMAT. Texet has commissioned Swisslog to supply and implement an AutoStore solution in its warehouse in Aarschot, Belgium. 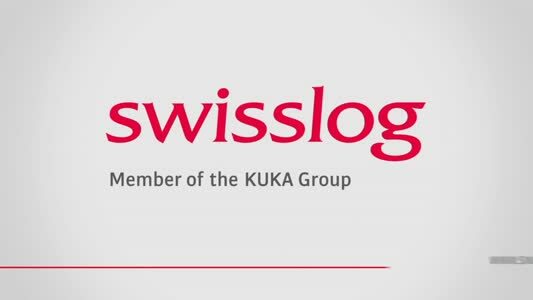 The scalable system is controlled by Swisslog's intelligent SynQ warehouse management software. With the latest models in its TR-7wb series, T&D Corporation, the Japanese market leader for data loggers, has extended the original TR-7wf series with a Bluetooth feature to enhance connectivity between data loggers and mobile devices such as smartphones and tablets. For retailers to maximise omnichannel opportunities, the IT solutions have to be in place and they have to fit warehousing and logistics operations seamlessly. Ecommerce businesses who regularly need to pick a predefined group of items from their warehouse to fulfil a customer order or serve an assembly operation can now simplify the process using a new kitting module for the ProSKU cloud-based warehouse management system (WMS). RFID has sometimes been misunderstood but its benefits are very real, says TouchPath international CEO David Myers. As a business grows, business owners face the challenge of managing this growth and its implications for business operations. Stock control management is one area of a business that can experience growing pains, often showing itself in increased costs, poor service, slow productivity or stock wastage. Voiteq sees the company’s acquisition by The Körber Group as confirmation of the place of voice among advanced logistics technologies, as Matt Gregory, sales director of Voiteq UK tells HSS editor Simon Duddy. Contract food and packaging supplier Universal Flexible Packaging (UFP) introduced the Empirica warehouse management system from Chess to improve its stock handling processes. Cloud-based WMS supports new services and expansion of warehouse operations for magazine distribution firm. Johnston Logistics UK has selected Snapfulfil WMS to help deliver its next stage of growth. Plastics manufacturer Essentra scales up its wave picking capability, increasing efficiency and reducing errors. The industry needs to pay more attention to warehouse infrastructure argues Renovotec’s Richard Gilliard. The introduction of a very narrow aisle storage layout and Flexi articulated truck technology has allowed H2Ecommerce to increase the capacity of its site in Crewe by 100%. Can voice technology deployed an end-to-end from DC to store help retailer deals with the Omni-channel challenge? Honeywell explores. A Scandit white paper provides insight into how post and parcel organisations can use mobile computer vision-enabled data capture and augmented reality solutions running on smart devices to increase the capabilities of existing barcodes in ways that dedicated scanners cannot. Renold is investing in new technology to drive greater efficiency and accuracy in its processes, replacing its former ERP systems and also introducing new WMS worldwide. Groupe Legris Industries’ Savoye Division, a provider of intralogistics solutions incorporating both software and robotics, is set to be acquired by the Noblelift industrial investment fund, which was set up by Noblelift Intelligent Equipment Co (Noblelift) and two other investors. Have you considered going waveless? Waveless picking can help streamline operations, says Eric Lamphier, senior director, product management, Manhattan Associates. Carousel is a fast-growing business delivering personalised logistics solutions for companies from a broad spectrum of industries including healthcare, technical engineering, agriculture and energy. When designing and managing these personalised solutions for clients, Carousel’s service delivery and client experience teams always look at how they can help clients reach exceptional service levels for their customers. Edinburgh Bicycle Co-operative (EBC) was established in 1977 by three cycling enthusiasts who wanted to run ‘a shop they wanted to shop in’. Almost four decades later, the company has stores throughout Scotland and the North of England, along with a thriving e-commerce website.